Will you be gifting your child a pet this holiday season? If so, this FREE pets and their homes matching activity would be a great homeschool lesson to give them a hint before Christmas. They will totally remember you giving them this activity, and love that they should have guessed what gift they would be opening this year. This will be a fun way to learn about 6 different types of pets and what kinds of cages/homes they are usually kept in. This activity is perfect for learning about animals and to improve language development. 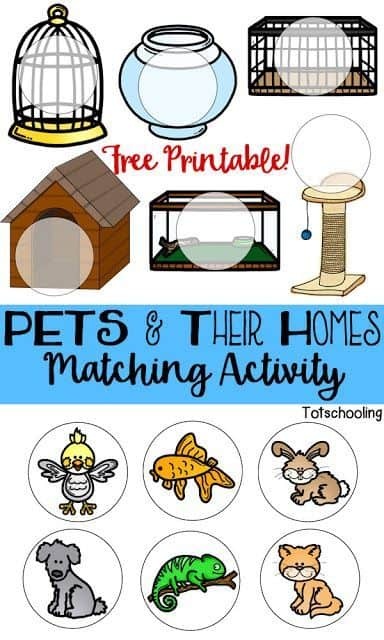 Click here for this FREE pets and their homes matching activity from Totschooling.